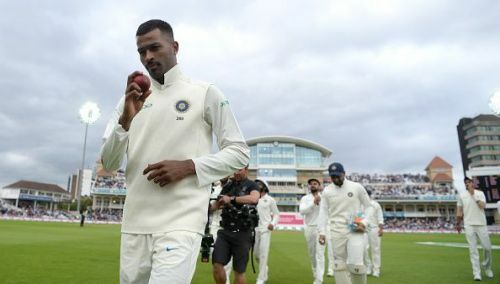 After making a comeback to competitive cricket last week, all-rounder Hardik Pandya is likely to be on his way to Australia to join the Indian team down under before the third Test. According to reports in Indian Express, the selection committee has left it on Pandya to take a call when he wants to join the Indian team in Australia. Sarandeep Singh, the national selector was in attendance at Wankhede stadium to see Pandya bowl and reportedly had a word with him on Friday after the day’s play. The Indian team management had already conveyed to national selectors to send Pandya to Australia once he is fit and ready. After injuring himself while bowling against Pakistan in the 2018 Asia Cup, Hardik Pandya was out of action for nearly three months and the all-rounder, after recovering from the back injury, had the option of playing for India A in New Zealand for the three-match List A series but he chose to play for Baroda in their Ranji Trophy match against Mumbai at the Wankhede stadium. His comeback was a successful one as he starred with both bat and ball in the match and in spite of that, Baroda failed to take the first innings lead, thanks to a swashbuckling century from Shreyas Iyer and a steady ton from skipper Siddesh Lad. Hardik, opening the bowling in the first innings, took two early wickets to reduce Mumbai to 28/2 and returned after the Iyer-Lad onslaught to register a five-wicket haul to end with figures of 81/5 in 18.5 overs. With the bat, scored 73 from 137 balls, with 8 fours and a six, and nearly dragged Baroda to a first-innings lead. Pandya ended day three with figures of 6-4-4-2 in Mumbai's second innings in which they are reeling at 20/2 with a lead of just 49. WATCH: Hardik Pandya dances to the tunes of Bharat Army's chants at Sydney!